What goes better with dessert than a great cup of coffee? Using the right brewing system, along with freshly ground beans, can make all the difference. For the second year in a row, the editorial staff at Crave Local had the chance to test some of the newest and best coffee makers and coffee gadgets on the market. Here are our top coffee maker picks and coffee related products for 2014. 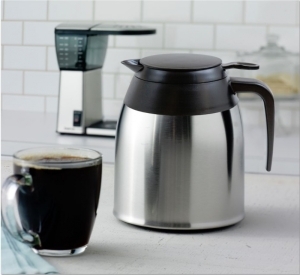 First up is the new Bonavita 8-cup Stainless Steel Carafe Coffee Brewer. Just released in early October, this SCAA certified brewer (Specialty Coffee Association of America) brings improvements that will result in an even better cup of coffee. 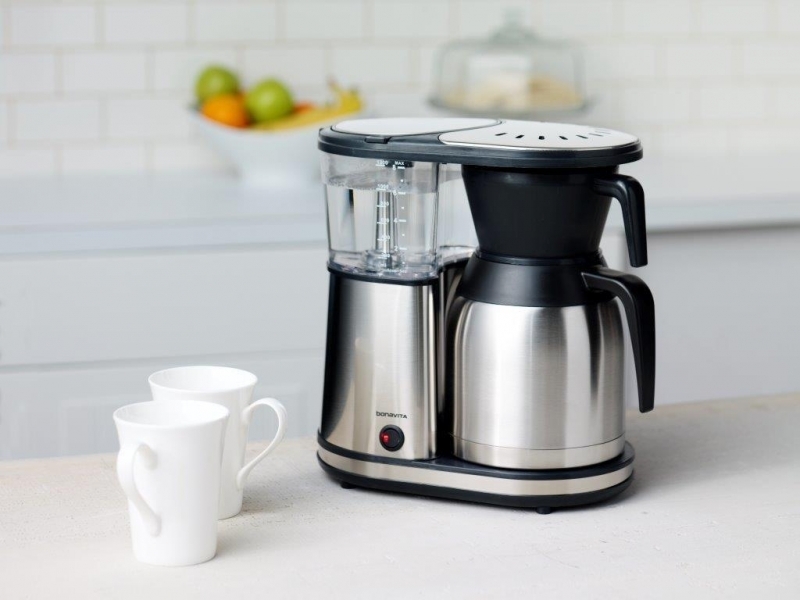 Bonavita’s electric brewers have consistently been touted as editors’ Best Buys and best-performing coffee brewers by experts including Cook’s Illustrated magazine, and Nilou Moulad of Epicurious on The TODAY Show. Food & Wine magazine also put the Bonavita brewer on its list for 2012’s Editors’ Top Food Gifts. Bonavita has combined pre-infusion methods (similar to a French press) with a large showerhead that drips hot water onto your grounds, slowly saturating them, and allowing for a better extraction from freshly roasted coffee. We tested the difference with pre-ground coffee between this coffee maker and a traditional drip/burner type of coffee brewer-the taste was night and say. Testing with freshly ground beans was even better. The stainless steel carafe is much lighter than others on the market, and cleans up with just a light rinse and wipe down. One word of note: be sure to use a big enough filter, as the wet coffee grounds will expand quite a bit in the basket. Available for $179.99 at CliveCoffee.com. For all day coffee or tea drinking, check out the Vinnebago from Corksicle. We tested this stainless steel canteen design from Corksicle, skeptical that it would actually hold a hot beverage for 12 hours. 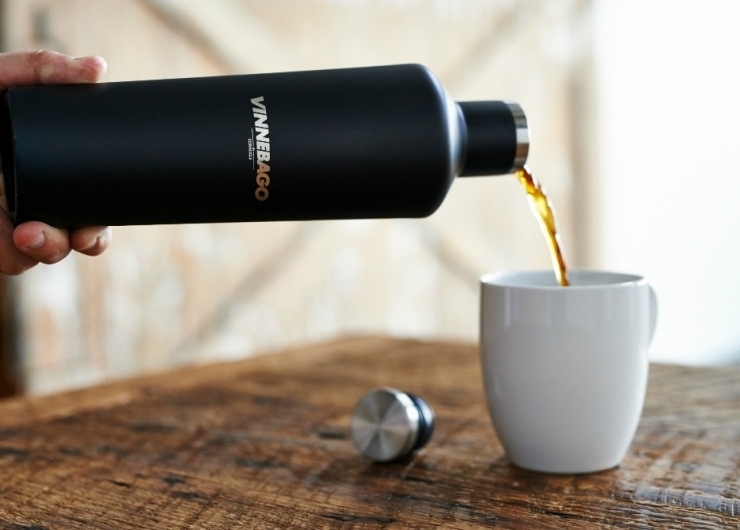 The Corkcicle Vinnebago , did indeed live up to the hype, keeping your morning coffee piping hot, and water for tea warm enough to brew a third and fourth cup of tea-12 hours after filling! Not being able to turn down a reason to try a good bottle of wine, we also tested the Vinnebago’s ability to keep a drink cold. It also worked well, staying cool as a cucumber with no condensation on the exterior all day. Find it on Amazon for $29.99 in white, black, and stainless. If you’re looking for a rare, vintage coffee experience, the Caffe Unimatic is the treasure you’re seeking. Hand-crafted in Northern Italy over 50 years ago, these antique drip-perculators are truly one-of-a-kind. Only 5000 are in existence, each offering a unique, pleasurable Old-World-style event for adventurous coffee lovers. There is no fair comparison. The Caffe Unimatic pot and matching custom coffee blends are a unique blast-from-the-past infused with modern times. To contrast with modern coffee makers or even old-school brew over or French press is like the proverbial apples to oranges. Don’t bother to do it, just kick back and enjoy the amazing experience of the Unimatic and revel in the fact that you’ll be among the very few to own and cherish this little piece of American-Italian history. The kit including one Unimatic, trivet and one pound of the flagship blend of coffee is currently available at http://www.caffeunimatic.com/ for $325. From old-school to new, the NESCAFE Dolce Gusto Mini Me, one of our favorite vendors from last season, has delivered a brand-new machine chock full of handy features and flair that elevate it to our best-dressed coffee maker list. Not all automatic capsule coffee makers are built alike and the stylish Mini Me heads the pack with ease of use and maximum ability to control the outcome of your brews. The tiny coffee maker is designed for one or two, perfect for a quick morning cup or for individual office use. It’s low profile rests easy on any counter top, desk or even a bookcase. The NESCAFÉ Dolce Gusto Mini Me delivers ample power to whip up 19 different hot or cold beverages in mere seconds with espresso technology and 15 bars of professional pressure. Definitely the little powerhouse that could! We’d still love to see recycle options for the pods, but overall quality of drink flavors is certainly spot on. Available on www.dolce-gusto.us and at national retailers for $99. For a quick-and-easy crowd pleaser, that makes a fabulous hostess gift, too, check out the elegant Melitta Porcelain 6-Cup Pour-Over Coffeemaker. Lovely in it’s sleek design, this carafe uses the time-honored coffee cone method which is the simplest and least expensive style of coffee making. Don’t let the simplicity fool you, though, this brewing style delivers a quality cup of rich, strong coffee. Perfect for daily use, small party settings or to use as a secondary unit for specialty coffees or decaf options when entertaining larger groups. Available at specialty retailers and online at Melitta.com and Amazon.com, Melitta’s porcelain pour-over retails for $39.99. I love the clean lines and the classy look of the Melitta Porcelain 6-Cup Pour-Over Coffeemaker. I’d love to use this when company arrives.